Last December, GUCCI revealed the breaking news that their Creative Director Frida Giannini and CEO Patrizio di Marco both stepped down. Being also a couple in real life – they have one daughter Greta together – they had both joined the Kering group almost at the same time, Di Marco 13 years ago as the CEO of Bottega Veneta before moving to Gucci in 2008 and Giannini 12 years ago, when she left Fendi for Gucci, at this time still under the creative direction of Tom Ford. Marco Bizzarri has been appointed the new CEO of Gucci, having joined Stella McCartney in 2005 before moving to Bottega Veneta in 2009. Seems like Bottega Veneta is the “stepping stone” for Gucci CEOs. 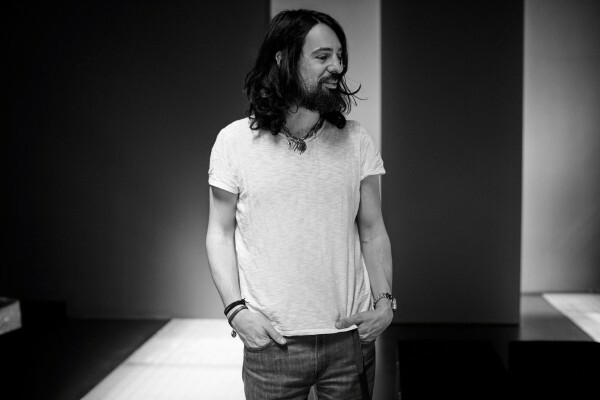 Yesterday, the new Creative Director of GUCCI has been officially appointed and it is probably not someone you would have thought of: Alessandro Michele, a longtime Gucci employee, is responsible for all of the brand’s collections and global image. Born in Rome in 1972, Alessandro studied at the prestigious Academy of Costume & Fashion in Rome. He forged his early design career inside Fendi where he was Senior Accessories Designer. A rising talent, he was tapped by Tom Ford in 2002 and moved to Gucci’s London-based Design Office. Over his 12-year tenure inside the Gucci design studio, Alessandro held a variety of roles. In 2006 he was named Leather Goods Design Director and promoted in May 2011 as Associate to then Creative Director Frida Giannini. Passionate about interiors and décor, Alessandro in September 2014 took on the additional role of Creative Director of Richard Ginori—the fine Florentine porcelain brand acquired by Gucci in June 2013. He immediately reimagined the product offering and branding of the 280-year-old brand, repositioning it for the luxury market with new collections and a new store design template. It was during the Gucci Men’s F/W 2015 runway show where Alessandro first revealed a contemporary new direction for the House. His full vision for Gucci will emerge during the Women’s F/W 2015 runway show. I am wishing him only the best, a great start and of course lots of creative ideas!